The purpose of the Department of Trade and Industry briefing was to seek approval from the Committee to accede to the World Intellectual Property Organisation Treaties, in terms of section 231(2) of the Constitution. The three treaties to be considered was the Beijing Treaty on Audiovisual Performances, the World Intellectual Property Organization Performances and Phonographs Treaty and lastly the World Intellectual Property Organization Copyright Treaty. The Department provided a brief explanation of what each Treaty covered as well as the status of each, and a breakdown of notable provisions of each of the Treaties. The Committee was assured that the three World Intellectual Property Organisation Treaties were consistent with domestic law, international law and SA’s international obligations. Progress on the Marrakesh Treaty was also be provided. The Chairperson provided the Committee with examples of living legends who were struggling to eke out an existence whilst others were benefitting from their intellectual or material property. Members strongly felt that the rights of performers, artists etc had to be protected. Members were concerned about unfair contractual agreements that performers, artists etc were obliged to sign. The Department was asked whether it would be able to advise performers, artists and others on how to deal with challenges that were encountered. Members appreciated the fact that the Treaties before the Committee encapsulated the economic rights of performers. The realisation of those rights was of utmost importance. The Department was asked what it intended to do to raise the awareness of the beneficiaries to those rights. Performers, artists and others had to be aware of their rights. Members observed that some of the Treaties only came into effect when domestic legislation was passed. Did the Department have timelines for the domestic legislation being referred to? The Department was asked what the delay in enacting domestic legislation had been. Members stated that the Committee would have preferred to have dealt with the Treaties first before the Committee had dealt with the Performers Protection Bill and the Copyright Amendment Bill. The Treaties could have guided the Committee and stakeholders when inputs on the Bills were made. Members were concerned that few countries had ratified the Treaties. The Beijing Treaty, the Performances and Phonographs Treaty and the Copyright Treaty were separately placed before the Committee for consideration. The Committee, in its Report, recommended that the House, in terms of section 231(2) of the Constitution, approve the accession of each of the Treaties. All members of the Committee agreed to the recommendation. 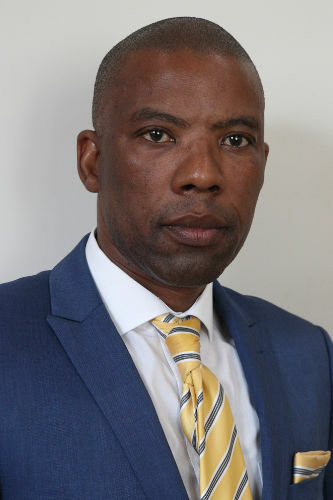 During the presentation of the Committee minutes of 20 March 2019, the DA objected to the way in which the minutes reported the deliberations of the National Gambling Amendment Bill and the three DA Members walked out of the meeting. The Chairperson pointed out that some of the World Intellectual Property Organisation Treaties had been signed and only required ratification. He noted that it was an Executive decision to deal with the Treaties. World Intellectual Property Organisation Treaties, in terms of section 231(2) of the Constitution. The three treaties to be considered was the Beijing Treaty on Audiovisual Performances (Beijing Treaty); the WIPO Performances and Phonographs Treaty (WPPT) and lastly the WIPO Copyright Treaty (WCT). A brief explanation of what each Treaty covered, as well as the status of each, was given. Progress on the Marrakesh Treaty would also be provided. The Committee was, at the outset, provided with background on current legislation and the what had necessitated the review of the Copyright Amendment Bill and the Performers Protection Amendment Bill. The Committee was also provided with insight into the implementation plan and progress on the Treaties. Benefits and the legal status of the WIPO Treaties were also elaborated upon. A breakdown of notable provisions of each of the Treaties was provided to the Committee. The Committee was assured that the three WIPO Treaties were consistent with domestic law, international law and SA’s international obligations. 74/191 member states had signed the Beijing Treaty, and 24/191 member states had ratified/acceded to it to date. 51/191 member states had signed the WPPT and the WCT treaties and to date 99/191 member states had ratified/acceded. The Marrakesh Treaty had a humanitarian focus. Legal opinions on the Marrakesh Treaty had been received from the Department of Justice and Constitutional Development and the Department of International Relations and Cooperation in May and June 2018 respectively. Essentially the legal opinions stated that the Marrakesh Treaty should only be acceded to once the Copyright Amendment Bill was passed into law. Once the Copyright Amendment Bill had been finalised, the Marrakesh Treaty would be resuscitated. The Chairperson stated that the DTI was requesting that the Committee approve SA’s accession to the three Treaties. Before accession to the Marrakesh Treaty could take place there was first a process that had to be followed. He pointed out that on Heritage Day he had visited a friend of his, a certain Ms Boitumelo Mofokeng, who was married to a writer and photographer, Mr Santo Mofokeng. Mr Mofokeng was not at all well and was wheelchair-bound. That being said, Mr Mofokeng had written three books that had been published and had been translated into German and French. The unfortunate thing was that he had not seen the benefit of his works and was living the life of a pauper. He, at the very least, had tried to assure the Mofokengs that the Committee had done its best to protect the rights of performers, artists, etc, by way of the Performers Protection Amendment Bill and the Copyright Amendment Bill. He had also informed them that the Committee would also be approving the accession of the three Treaties. The Chairperson continued with another example of an artist/photographer that had been short-changed. Reference was made to Mr Sam Nzima who had taken the iconic photograph of Mr Hector Petersen being carried by a fellow comrade. Only 22 years after the photograph was taken, had the rights to it gone to Mr Nzima. At the time when the photograph was taken, the right to the photograph sat with the person who had commissioned it. He stressed that those were just some of the people that had been short-changed in the industry. There were still those out there who were going through the same experiences and it was high time that it stopped. The aforementioned legislation was a step in the right direction. In terms of section 231(2) of the Constitution, the international treaties had to be approved by both houses. Mr L Magwebu (DA, Eastern Cape) noted that the Treaties before the Committee encapsulated the economic rights of performers. Those rights had to be realised. The DTI was asked what it intended to do to raise awareness to the beneficiaries of these rights. Artists, performers, etc. had to be aware of their rights. He pointed out, however, that some of the Treaties only came into effect when relevant domestic legislation was passed. Did the DTI have timelines for the domestic legislation being referred to? Dr Masotja assured Members that there had been engagement with stakeholders. Awareness was being done. Once the legislation was passed then the DTI would undertake a massive implementation drive. There would be education and awareness around the legislation and the rights that it protected. There would also be guidelines and practise notes, etc. On timelines on the legislation she said that it all depended upon what happened in the National Council of Provinces (NCOP). She said that deliberations on the legislation were taking place. The Committee had adopted the Performers Protection Amendment Bill and the Copyright Amendment Bill. She noted that there had been huge opposition to the Bills. She explained that timelines would depend on whether the Bills were passed into law and signed by the President of SA. Some felt that the Bills ought not to be signed into law. The DTI was prioritising the Bills. Mr M Rayi (ANC, Eastern Cape) complained that he had only received the briefing document the day before. He also asked the DTI what the delay in enacting domestic legislation had been. He would have preferred to have dealt with the Treaties before the Committee had dealt with the Performers Protection Amendment Bill and the Copyright Amendment Bill. The Treaties could have guided the Committee and stakeholders when inputs on the Bills were made. He was concerned that only a few countries had ratified the treaties. Some of the treaties had been signed years ago. Dr Masotja explained that many countries had signed the treaties but not acceded to them. She explained that after parliamentary approval there would be the depositing of instruments of accession. SA would join its African counterparts to accede to the Treaties. On why the delay, she explained that processes needed to be followed. Processes had to be followed through the Portfolio Committee on Trade and Industry, the National Assembly and through Cabinet. The Chairperson responded that the briefing document had not been late. The Committee Secretary had sent the document to Members at around 9 am on Friday 22 March 2019. The DTI had sent the document to Mr Mtileni before 22 March 2019. He made sure that Members received documents on time. Sometimes Members would receive documents late because there were technical issues at play that were beyond the control of the secretariat. Ms M Dikgale (ANC, Limpopo) also agreed that the time was long overdue for protecting the rights of performers, artists, etc. She said that there was no doubt about the Committee giving its approval for the Treaties. She emphasised the importance of broadcasting in all languages and via all types of media, whether it be radio, television, etc. that the rights of performers, artists etc. were protected by the aforementioned legislation. Parliament was looking after the interests of its people. Dr Masotja agreed that awareness in all languages was important. Everyone concerned should be covered. People would be educated and awareness would be raised. Rural areas would also be covered. She noted that the reform of legislation would lead to stronger measures. People would know their rights better. The Chairperson was concerned about the current situation in Mali. The massacre that had taken place was disturbing. He noted that Mali had the oldest scripts on mathematics. SA had made efforts in the past to preserve these scripts under the then President Thabo Mbeki. The Treaties before the Committee protected those types of things as well. There had been talks in the past about digitising the scripts. He, too, was concerned about why it had taken so long for legislation in that regard to have come about. He was further concerned about unfair contractual agreements that performers, artists, etc. were obliged to sign. The DTI was asked whether it would be able to advise artists, performers, etc. on how to deal with challenges that they encountered. Dr Masotja responded to the question of unfair contractual agreements. She said that the Copyright Tribunal had been strengthened in the Copyright Amendment Bill. There were strong measures in place. The Copyright Tribunal would be strengthened and the Bill gave it more powers. The Chairperson said that Mr Magwebu had asked about the responsibility to process legislation and the effectiveness of legislation. He noted that there had been a huge number of submissions on the Performers Protection Amendment Bill and the Copyright Amendment Bill. There were even submissions from interest groups looking out for the interests of persons with disabilities. Performers and artists from all walks of life were in support of the good work that the Committee had done on the Bills. Mr Rayi said that the DTI should send its documents to the Portfolio Committee on Trade and Industry and to the Committee at the same time no matter when meetings were scheduled. It did not matter who was to meet with the DTI first. The Chairperson replied that it was not Dr Masotja’s prerogative to send documents but that parliamentary procedures had to be followed. The Chairperson placed the Beijing Treaty, the WPPT and the WCT before the Committee separately for consideration. The Committee recommended that the House, in terms of section 231(2) of the Constitution, approve the accession of each of the Treaties. The Chairperson placed minutes dated 20 March 2019 before the Committee for consideration. 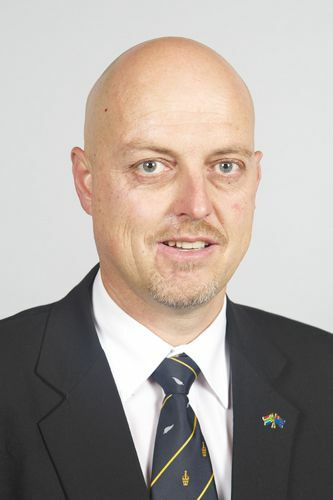 Mr W Faber (DA, Northern Cape), noting the reference in the Committee minutes to the consideration of Final Mandates on the National Gambling Amendment Bill, stated that the DA was not in agreement with what had been captured. In that meeting, there had been an impasse on the seven Final Mandates that had been submitted. Three provinces had voted in favour, three against and one province had abstained from voting on the Bill. Two provinces had, at the time of the meeting, not submitted Final Mandates. The Committee obtained legal advice which was that Rule 171(1) of the Joint Rules came into play. In terms of the Rule the Bill would have to be referred to the House, where after provinces would have to submit a voting mandate on the Bill to the House. The DA had not agreed with the National Gambling Amendment Bill being referred to the House for a voting mandate because two provinces had not submitted their Final Mandates in time. The DA could, therefore, not support the way the engagement in the meeting had been captured in the Committee Minutes. 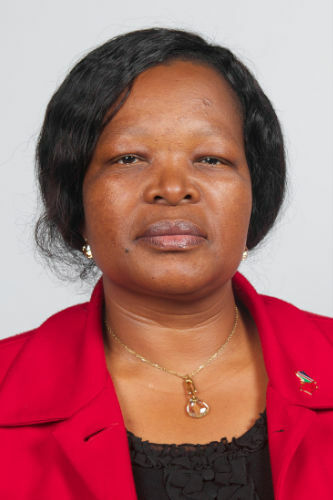 The Chairperson stated that Rule 171(1) would apply and that there would be a voting mandate on the National Gambling Amendment Bill in the House. Three members of the DA left the meeting. The minutes were adopted unamended. The Chairperson stated that Committee Staff had done a good job on the Legacy Report. He placed the Legacy Report before the Committee for adoption. The Committee adopted the Legacy Report unamended. There were no objections. The Chairperson said that it was unfortunate that the last meeting of the Committee had been soured by DA Members walking out of the meeting. He was very disappointed as for the past five years there had been good camaraderie amongst all Members. Mr Rayi said that Members needed to have an understanding of law-making processes. The rules of Parliament did not prevent late Final Mandates from being considered. He felt that there was a misunderstanding on the part of the DA. The DA had also opposed the Copyright Amendment Bill and the Performers Protection Amendment Bill. He noted that the DA opposed all transformation agenda legislation. That being the final meeting of the Committee, Members thanked each other and the staff for the cooperation that they shared amongst each other.